We are still short of our goal by $18,000! Please help us bless the lives of many families who cannot affort to celebrate passport by making a generous donation by this Thursday. When it comes to U.S. holidays, there isn’t anything like Pesach. We have Thanksgiving, which may compare on a food scale, and there’s Christmas, which may compare on a festivities level, but really there’s nothing like Passover. Tables overflow with traditional foods like gefilta fish, salmon, macaroons, fruits, vegetables, and tons of delicious matzo. Families clean their houses upside down and inside out to remove all “chametz” (yeast/leavening) from any little crack and corner. Mom, dad, and the kids don special clothing to honor and celebrate this commanded “moed” (appointed time), when they celebrate as a family and as a community the continued redemption of the Jewish people from Pharoah and Egypt. As you can well imagine, all these little pieces add up very quickly. 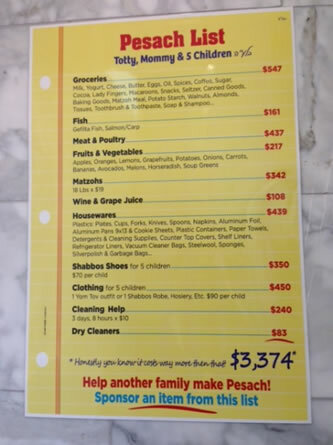 Just to give you an idea of what a typical Passover dinner costs, here is a detailed cost summary. As you can see, it’s no small undertaking! This year again we will have a matching donation. for, up to ₪ 50,000 NIS to feed needful families a Passover dinner. All proceeds go towards the purchase of food only and will be distributed through the matching organization. Thank you for making some part of Passover possible for families in Israel. A generous ISF donor has put down a challenge to the ISF network. Any gift donated between now and Monday will be matched dollar for dollar! You can double your impact by donating now to purchase heaters for the elderly and needful in Israel. Just as a reminder, Israel is in its cold winter months. In a place where 70 – 80 degrees Fahrenheit is the average temperature, the drop below freezing and the arrival of rain and snow can be shocking for those who aren’t prepared. Unfortunately, many elderly and needy families cannot afford a heater to keep themselves warm. Many people die in Israel every year because of the cold. Your donations can help them beat the odds! Each heater is roughly $50 – a small investment for the preservation of a life. Please consider what you can give towards this goal and keep in mind that anything you give will be doubled! UPDATE: The final numbers are in!!! Over the past few days we raised $3705 (including the match). With those funds we will be able to order at least 70 heating units. Thank you once again for your support, prayers and giving heart. 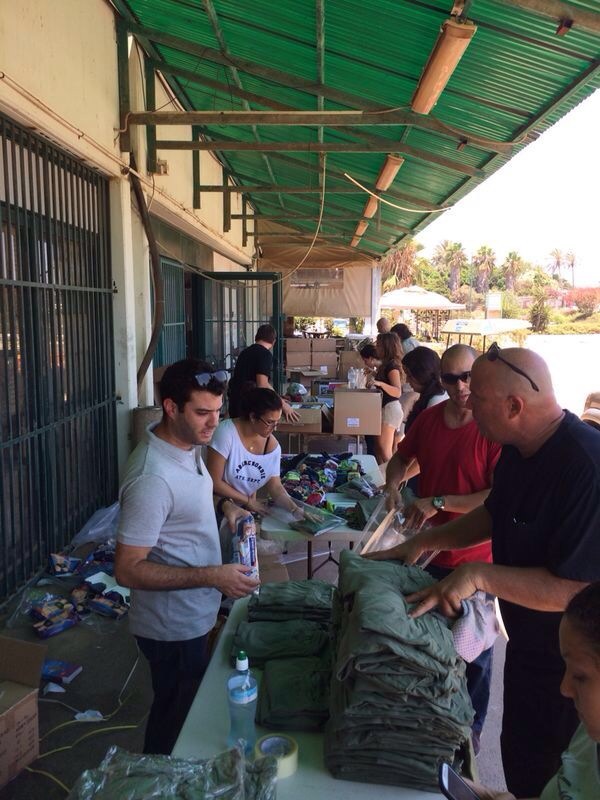 Please know that your generosity has made a difference in the lives of many in Israel. 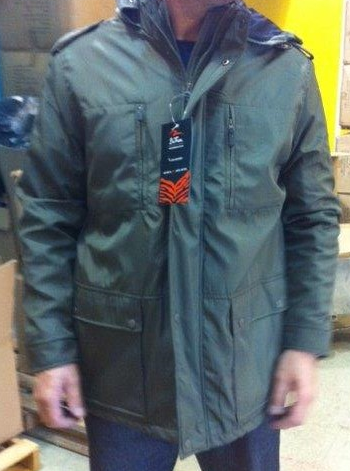 Over the next few weeks we will be collecting photos as we purchase and hand out the heaters. We will be sharing with you our progress on the project. Our prayers for water have again been answered! Rain and now snow are falling on Israel in heavy blankets. Snow and rain are a blessing because they promise the continuation of life, but they also bring wet and cold that many Israelis are not prepared for. 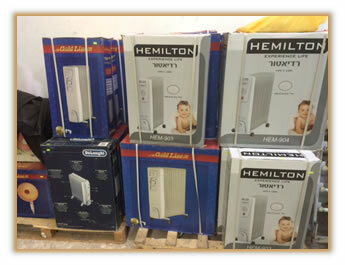 Israel Support Fund is raising funds for the purchase of 40 heaters. These heaters will be given to the elderly and needy families who would otherwise freeze in the cold. Each heater is roughly $50. * Assist a family struggling financially as a result of the death by terrorism in their family. * Sukkot 2015 provisions for many families in need. * Wedding financial assistance for an orphan bride. Because of you we have been able to touch the lives of many families in Israel. As we closely watch the news for updates on the Iran “deal”, the movement of ISIS in the Negev Desert, the scheming of Hamas and Fatah, and the movements of other militant, radical Islamic groups in the Middle East, it should come as no surprise that Israel is training and preparing for the worst case scenario. Israel’s enemies and tenuous “friends” are inconsistent and volatile in their relations; the only consistency being that they have historically cursed and declared war against the existence of the Jewish state. 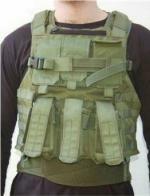 ISF has been approached by a unit in the IDF about the purchase of vests for their soldiers (see picture). The unit requesting these is a top, high performance unit. These vests will help the soldiers better do their job – something that could be the difference between life and death in the days ahead. As ground operations continue in Gaza, ISF is providing supplies to volunteers to package and distribute to soldiers on the front lines. It’s simple things: fresh underwear, socks, food, water, and toiletries, but they mean a lot to those who wouldn’t otherwise have them. Thank you! Thank you to our donors who are giving and thank you to the volunteers who are giving of their time and energy to support our troops in a small, but immensely influential way. We pray that the conflict will be over soon, but more than anything we pray that Yah will lead Israel forward in whatever He wills.. In January, Jerusalem was shocked by a tragic incident that happened in the neighborhood of Givat Mordechai. An exterminator, who was operating without a license, left a deadly poison in the Gross family’s bomb shelter. It leeched into their home, over several days, poisoning all members of their family. The two youngest children, daughters Yael (4) and Avigayil (2), z’’l, died as a result of the toxicity (z’’l is an acronym for “may his/her memory be a blessing – it is added to the end of a Jewish person’s name when they pass). Their older brothers, Michael (7) and Yizchak (5) remain in the hospital in moderate condition. Israel Support Fund has been asked to help the Gross family. Their lives have been forever marked, beyond, of course, what money can fix. However, we are committed to raise as much as we are able. Our current goal is $40,000. This amount will go towards helping to cover hospital bills, burial costs, and food/transportation costs while Mr. and Mrs. Gross are, themselves, recovering from the chemical poisoning, grieving, and caring for their sons. Stayed tuned for our progress towards this goal. In crisis, the human body responds with its most ingrained habit. In high intensity moments, those habits need to be grounded in God and the Torah. Unfortunately, many Israeli soldiers do not own a Tanakh. In fact, many of them have never read it personally! Our heart is to fill theirs with the living words of our Creator to bring peace, calm, focus, and preparation for all moments of their lives - especially those that are the most stressful and intense. It is also our hope, once this project is completed, to pass out Tehillim, the Psalms, in a pocket-sized book. See our future projects page for more information. Many IDF soldiers in the field lack some of the basic "niceties" of life; for instance, a hat to keep the sun off their face or a sturdy bag in which to transport their personal affects, on and off base. ISF sponsored the purchase of baseball caps and messenger bags, embroidered with the unit's crest, for soldiers in an IDF unit. We were the first organization to donate to this unit in 16 years! Needless to say, the soldiers were enthused. The Word of God should be in every detail of our life; on the battlefield, just as at home. 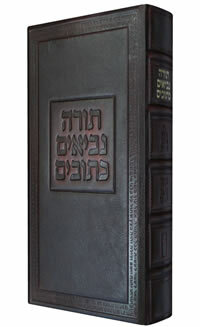 To ensure that a unit of the IDF had this opportunity, ISF purchased an “Aron HaKodesh” (Holy Cabinet), the traditional structure that houses a Torah scroll. As you can see, this one is built to last! Summers in Israel are hot – really hot. While there is basic food available to nourish and sustain soldiers in the field, sometimes it’s nice to have something flavorful and different, yeah? 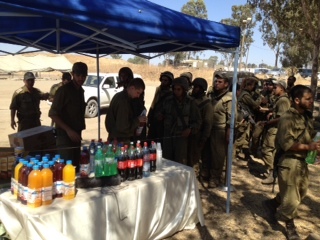 ISF was proud to sponsor a food tent for a day this summer that provided the soldiers with cold drinks, snack foods, and a break from the sun – all at no cost to the IDF. The soldiers were all over it! It was a joy to create a highlight for these soldiers’ day and lift their morale. Just as Israel is hot in the summer, it is also cold in the winter – especially at higher elevations. 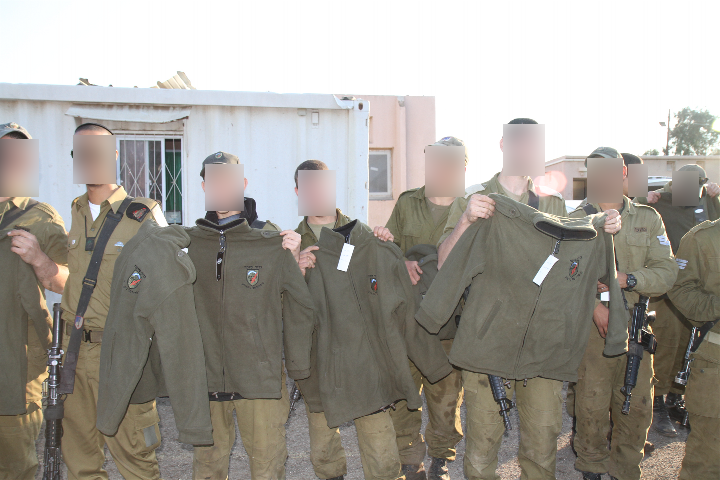 To keep IDF soldiers in the Golan warm and protected from cold during the winter, ISF sponsored the donation of 750 fleece jackets. They were even distributed with help from visiting donors! In the picture, we have blurred out the soldiers faces for their protection, but you can bet they were grinning from ear-to-ear. Way to go! With your help and our partnership with Assist International, $3,000,000 was raised to support Israel’s hospitals. 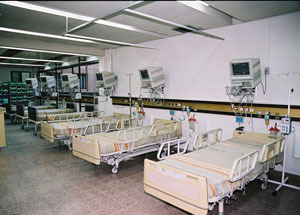 One such hospital was Ma’ayanei Yeshuah in B’nai Brak, Israel. 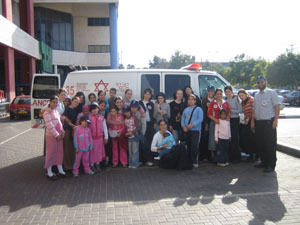 B’NAI BRAK, ISRAEL (Nov. 10, 2005) – Israel’s busiest maternity hospital is Ma’ayaneiYoshua (Fountains of Joshua) in the extremely Orthodox city of B’nai Brak, a city with the lowest average income and highest population density in the country. The hospital delivers over 7,500 babies per year in what had been impossibly difficult conditions. This combination of poverty and need attracted Israel Support Fund, a charitable organization incorporated in the U.S. and headed by veteran terror-attack paramedic, YisroelStefansky, and Canadian journalist, Marshall Shapiro. They succeeded in interesting an evangelical Christian, medical philanthropy group, Assist International in funding a new, fully equipped Recovery Room complete with 15 Philips high tech monitoring devices and a central monitoring station. Dedicated to the memory of murdered Wall Street Journal reporter, Daniel Pearl, the completed facility was opened by Pearl’s father, Dr. Judah Pearl, Rev. Bob Pagett, head of Assist Int., the two founders of ISF and Palo Alto, CA, cardiologist, Dr. Richard Gerber who was tireless in raising funds in his community to help make the $250,000.00 Recovery Room a reality. In a moving statement, Dr. Pearl referred to his son’s last words, “I am a Jew”. Daniel, before he was brutally killed, managed to say that his grandfather was a Torah scholar in B’nai Brak. Dr. Pearl expressed his gratitude that his son was being honoured in a city so closely tied to his family history. “We want to do more projects like this,” declared Rev. Pagett who has already organized and built fifteen medical facilities in remote parts of Africa and Asia. Both ISF and Assist Int. were on the lookout for vital projects to help institutions and individuals not in the mainstream and with limited or no access to organized charitable or government funding. (September) Transitioning from the life of Summer back to School can be a bummer for everyone, but for kids who manage handicaps, pain, and debilitating disease, it can be even more difficult. 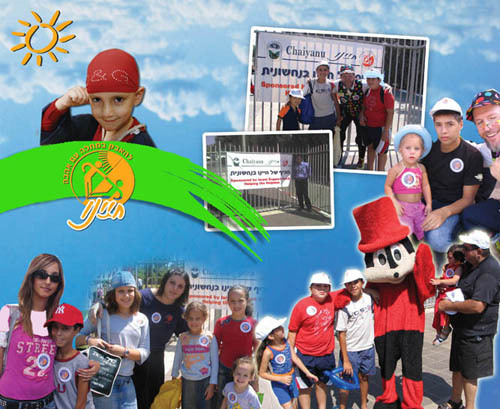 To ease this transition, ISF supported a special day of fun, the week before school began in Nachshonit. The goal was to provide an environment where these kids could be kids! – they could play the day away with newfound friends, provided with tasty food and fun plaything provided by ISF. Fun was had by all! 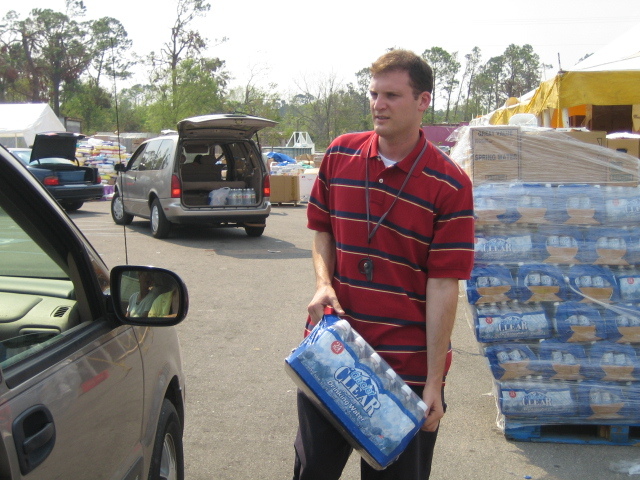 Our Founder and Executive Director, YisroelStefansky, was called upon by Alabama Police and the Biloxi, Mississippi Police Department to help with victim recovery following Hurricane Katrina. Utilizing his experience and skill with disaster environments, he provided both physical and logistical support to their efforts. ISF helps the world abroad! Because of the financial situation in Israel, many families are not able to afford food for the every-day, let alone for the special holidays when we are commanded to each and rejoice. Passover is supposed to be a family-oriented, joyous holiday and ISF was determined to make that happen for families throughout Israel.